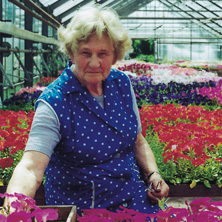 The story of the company is a story of generations of gardeners in the Černý family and their love of flowers, persistence and a bit of luck along the way. 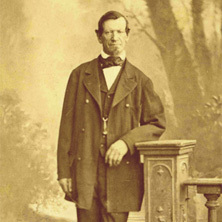 The company was founded by Ferdinand Hlaváček (1822–1897) as a regular horticultural business in 1859. 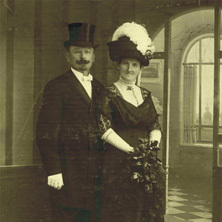 In 1896, he married off his daughter to František Černý (1865–1925), who had been trained as a castle gardener and who had even worked in the famous gardens of Baron Rothschild in Vienna. He was a true master of the art of flower arrangement. 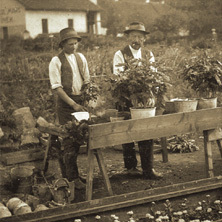 In 1928, František Černý (1896–1968) and Marie Černá (1903–1987), the next generation of gardeners, started to specialise in breeding and production of seeds, especially of petunias and begonias. 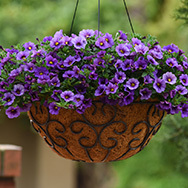 Their first success came in 1934 when the original petunia variety Karkulka was introduced. They bred a number of conventional non-hybrid varieties together and managed to gain recognition among the competition of established German seed suppliers. The company has always been a typical family-run business where generations of gardeners – breeders have handed down their knowledge and biological material. The company was nationalised in 1960. 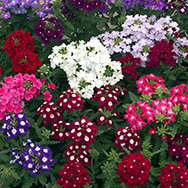 It became part of the state-run enterprise Sempra, which established a breeding station specialising in petunias and begonias. 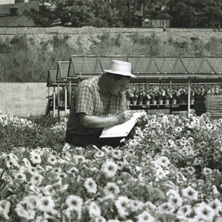 The work started in the 1930s continued. 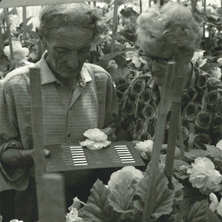 The names Jan Černý (1928–1980) and Alenka Černá (1928–2000) are associated with the creation of the first hybrid varieties of begonia (1959) and petunia (1960). 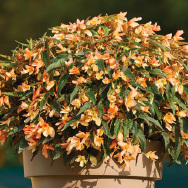 They gradually managed to breed a wide range of hybrid varieties which were competitive on an international level. In 1991, the business was returned to the Černý family within the framework of restitution and continued to build successfully on its past tradition. 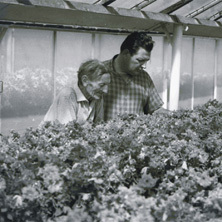 A representative of the next generation, Jan Černý (1957–2016), also devoted his life to breeding of flowers, breeding a range of modern hybrid varieties of begonia and petunia. 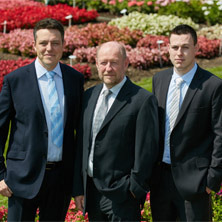 His two sons, Jan Černý and Jakub Černý, currently work in and manage the business. The team of experienced employees, some of whom have been working in the company for more than 25 years, is your guarantee of the high quality of seeds produced. The company is still a specialised seed business producing seeds of its own varieties of petunia, begonia, cyclamen and pelargonium. It focuses intensively on breeding and new varieties are launched onto the market practically every year. Seeds are supplied to wholesale customers, gardeners and flower enthusiasts. Most of the seeds produced are however exported. 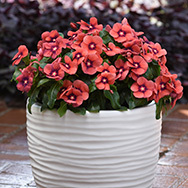 More than 120 original varieties of petunia, begonia, cyclamen, lily-of-the-valley and other flower varieties have been bred in the company since 1934.